Some would say that Lambertville has changed little over the past one hundred years. Victorian houses and Federal row homes still grace the streets. The factories of yore have become the artist studios, galleries, shops and restaurants of this charming town. A restored 19th-century train depot houses Lambertville Station, a popular waterside restaurant and a cozy inn. New Jersey’s longest park, the Delaware and Raritan Canal State Park, runs through Lambertville, allowing the banks of the Delaware River to maintain their lush beauty. The people of Lambertville exhibit a great pride about their town, and with good reason. 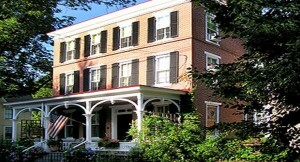 It is considered a real destination by many New York and Philadelphia weekenders, but retains its unique, artisty and funky flair year round. Lambertville Real Estate Homes For Sale. Lambertville Closed Real Estate Transactions.